Many of my books have Kindle versions, and some are Kindle-only. 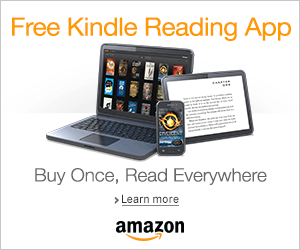 Read Kindle ebooks on any tablet, computer, or smartphone with the official free app! With more than 115 novels, novelizations, interactive storybook apps, and novelty books published for boys and girls of all ages, I love visiting childhood organizations to give kids an exciting show and tell about being a professional writer who creates some of the stories starring their favorite characters as well as my own original books. I specialize in stories that grab the attention of reluctant readers. Writing action-packed adventure fiction allows me to introduce the joys of the written word to kids who otherwise wouldn't read for fun. My goal is to spark a lifelong love of reading and writing in anyone who reads my books or attends my workshops, classes, or presentations. 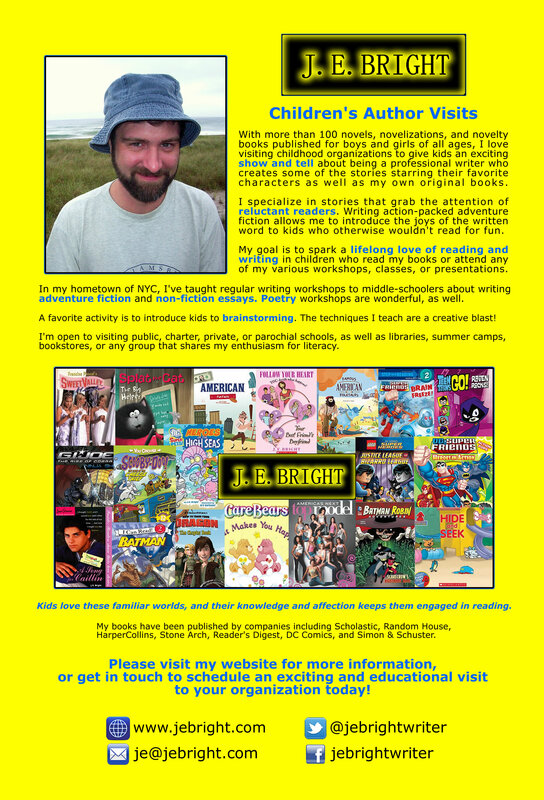 I've taught weekly writing workshops to middle-schoolers about writing adventure fiction and non-fiction essays. Poetry workshops are also wonderful. I'm open to visiting public, charter, private, or parochial schools, as well as libraries, bookstores, summer camps, clubs, or any other group that shares my enthusiasm for literacy. One of my favorite activities is to introduce kids to brainstorming. The techniques I teach are a creative blast! 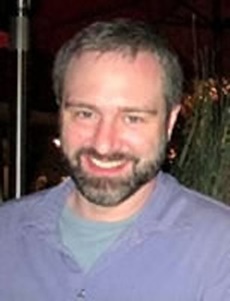 My books have been published by companies including Scholastic, Random House, HarperCollins, Stone Arch, Reader's Digest, DC Comics, and Simon & Schuster. Get in touch to schedule an exciting and educational visit to your organization today! Kids love these familiar worlds, and their knowledge and affection keeps them engaged in reading. Super Friends, Justice League, Batman, Superman, Green Lantern, Wonder Woman, The Flash, Aquaman, Super Pets, Teen Titans, LEGO, G.I. Joe, The Hulk, Shrek, Splat the Cat, Winx Club, House of Anubis, Ice Age, Alvin and the Chipmunks, Scooby-Doo, Barbie, Kung Fu Panda, How to Train Your Dragon, Narnia, Marmaduke, Madagascar, Bella Sara, America's Next Top Model, High School Musical, Clifford, Tonka, NASCAR, Digimon, Power Rangers, Teenage Mutant Ninja Turtles, and Sweet Valley High. I've also written a book called Famous American Folktales and one called American Fun Facts, and would be happy to speak and prompt writing exercises about those subjects. Or we could have a whole session about writing bad jokes, based on Bernie's Bad Jokes! For local engagements in the Houston, TX area, I charge between $150.00 - $300.00 for a day's visit, which can include up to 4 classroom, library, or auditorium presentations, or workshops of select students. Travel expenses, if any, are extra. For long-distance engagements, I charge $200.00 - $400.00 plus travel and lodging expenses. All fees are due the morning of the visit. A selection of my books can be ordered in advance and offered for sale at every event, often at a discount from the publisher, and/or I can bring books for sale at full price. The children and their parents should be made aware that books will be for sale at the event so they can prepare. I'm thrilled to sign and personalize all my books. Generally, a reasonably-sized group of children is better than a crowd, especially for any presentation with writing exercise components. I am happy to speak to large groups, even gyms or auditoriums, but the presentation will be a fun, broad overview about reading and writing rather than a personalized, interactive experience for the kids. A single or double class is usually an effective group size. I love small workshops of 8-10 students. If there are students who have shown an aptitude for writing, I encourage teachers to select a small group for a writing workshop with me around a large table. I'm happy to hang out with supervised kids in a lunchroom setting. Of course I will personally sign any of my books for students, teachers, or the library. In order to build excitement, it's often helpful make the children aware of me and my books before I arrive. Fliers to the parents or announcements in newsletters or on websites are also appreciated. Please let the kids know beforehand that books will be for sale. Click on the postcard for a larger, hi-res version to print and share. Thanks to Cool School Visits for great information and tips! 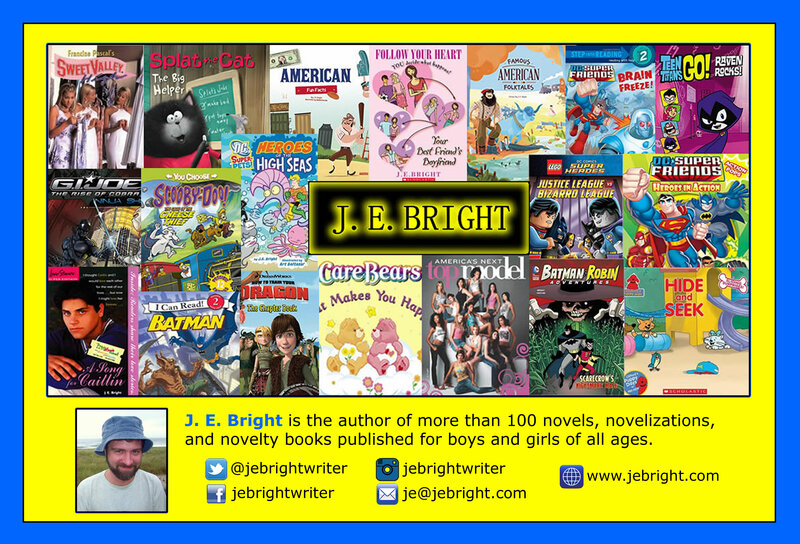 Copyright © 2006-2018 J. E. Bright. All rights reserved.